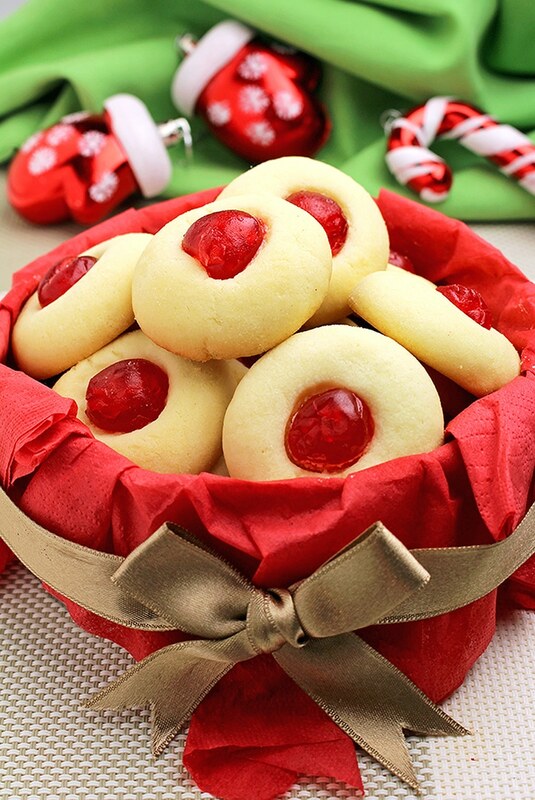 Holiday Maraschino Cherry Shortbread Cookies… Christmas, New Year, Santa Claus, Christmas Tree, Cookies… everything is about holidays these days. 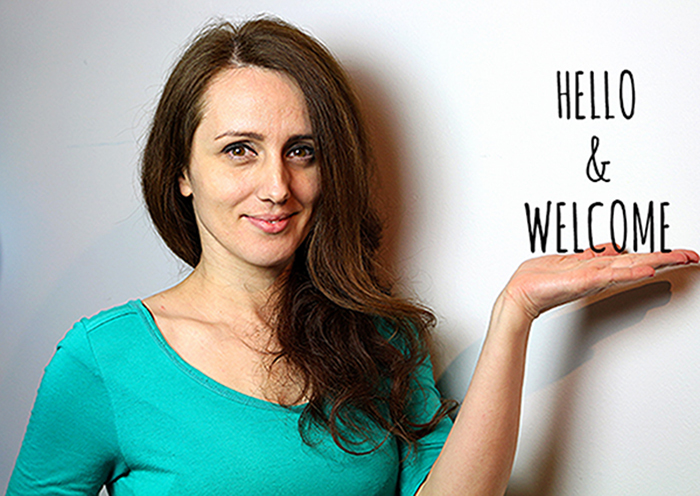 I am super excited and I can‘t wait to spend the holidays with my family. We have already started preparing and, as you know, I especially enjoy making Christmas cookies. My son is my little helper and the two of us make a winning combination in the kitchen. We have decided to make a little surprise for my husband and prepare his favorite shortbread cookies. They are so easy to make and yet so special. There are many different ways to prepare and decorate them, and you can also make various shapes. 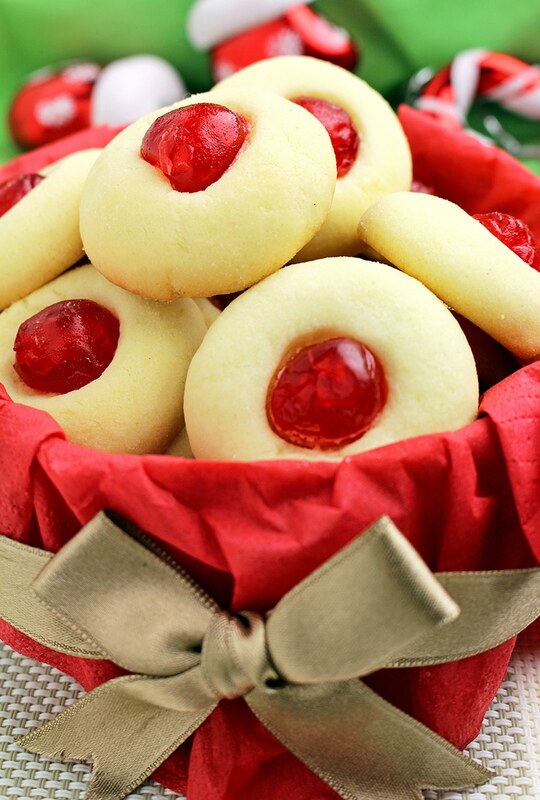 I chose Maraschino Cherry Shortbread Cookies because they look classy with the Maraschino cherry in the middle. 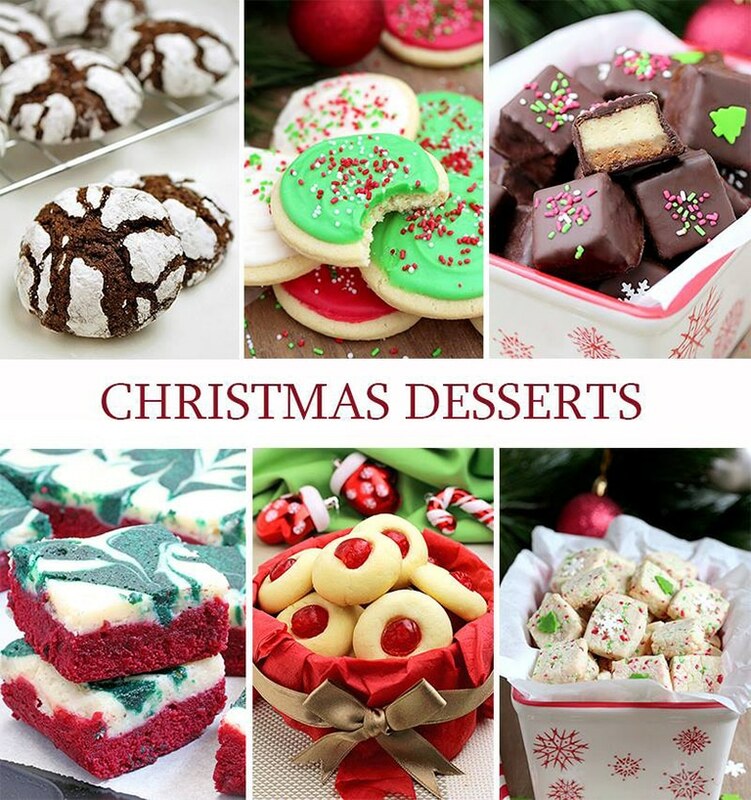 Take a look our most popular Christmas and New Year`s Eve recipes Christmas Chocolate Crinkle Cookies and Cranberry Frosted Soft Sugar Cookies. 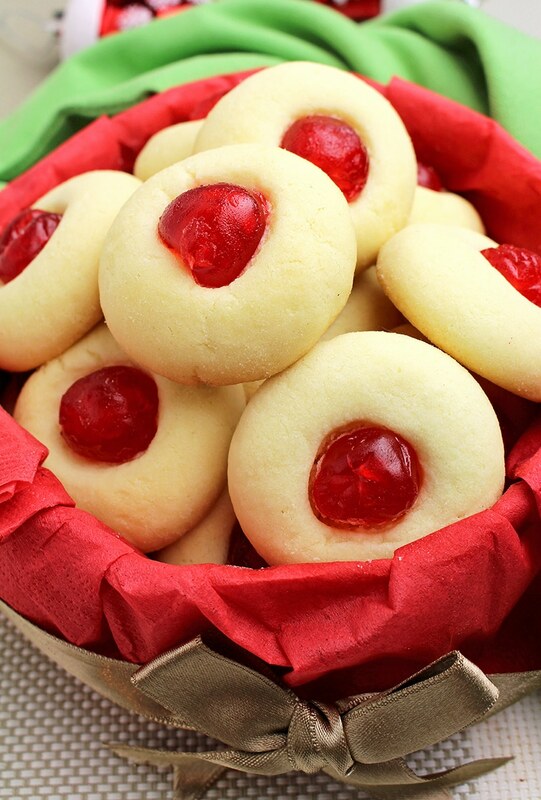 How to prepare Maraschino Cherry Shortbread Cookies? Preheat oven to 350 degrees F. Put parchment paper in the baking pan and leave aside. In a medium sized dish combine flour and corn starch. Leave aside. In a large bowl mix butter and sugar using electric hand mixer at medium speed, until it becomes light and fluffy. Add vanilla extract and pinch of salt and mix some more. Add flour and corn starch. Mix at a lower speed for a few minutes to get a fine dough. Make balls of about 1 inch. Place them in the baking pan. Space cookies about 2 inches apart. Finally, place Maraschino cherry on the top of each ball of dough and press with finger until ⅔ of the cherry is inside the ball. Bake for 10/12 minutes. Wait for them to cool down and enjoy. They are so simple, but make great impression. I made the dough and my son helped me make balls. He loved putting Maraschino cherries in the middle and felt so happy and proud. The result can be seen in the photos. When my husband came home from work that day, there was a surprise waiting for him on the table. His smile was worth thousands of words. We spent that afternoon together, enjoying Maraschino Cherry Shortbread cookies. So, I am sure there will be a special place for them on your Christmas table, as well. Christmas, New Year, Santa Claus, Christmas tree, cookies… everything is about holidays these days. We have already started preparing and, as you know, I especially enjoy making Christmas cookies. Preheat oven to 350 degrees F. Put parchment paper in the baking pan and leave aside. In a medium sized dish combine flour and corn starch. Leave aside. In a large bowl mix butter and sugar using electric hand mixer at medium speed, until it becomes light and fluffy. Add vanilla extract and pinch of salt and mix some more. Add flour and corn starch. Mix at a lower speed for a few minutes to get a fine dough. Make balls of about 1 inch. Place them in the baking pan. Space cookies about 2 inches apart. 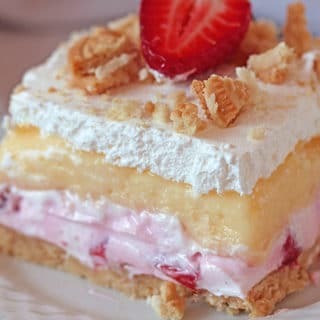 Finally, place Maraschino cherry on the top of each ball of dough and press with finger until ⅔ of the cherry is inside the ball. Bake for 10/12 minutes. Wait for them to cool down and enjoy. 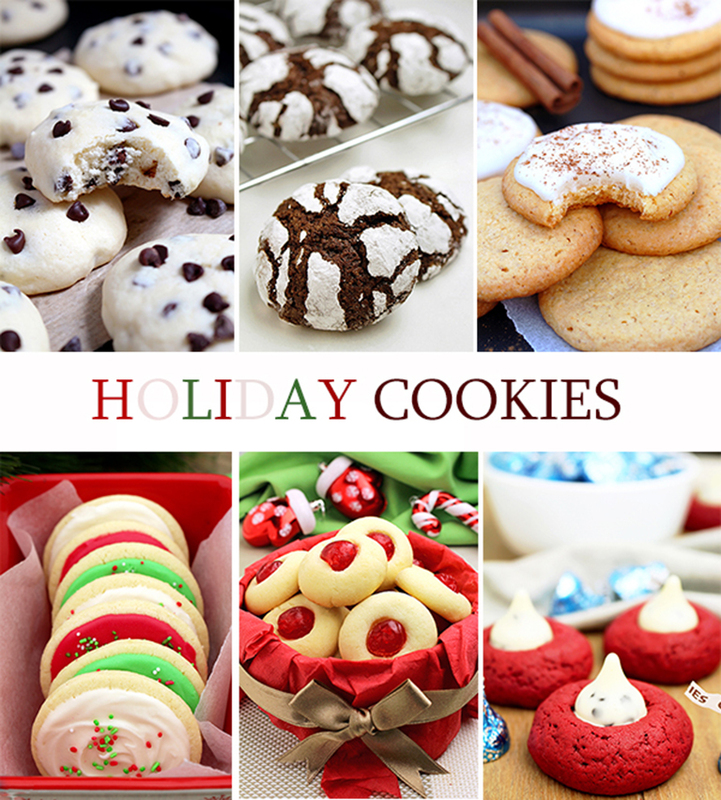 I was looking for a few quick and easy cookies to make for a up coming open house for Christmas. Made it and love it. Was wondering if the dough can be made the day before and refrigerate. Yes, you can make the dough the day before and refrigerate. Thanks for sharing this recipe, can’t wait to try it!! Can these cookies be made ahead? Do they freeze well? When the shortbreads have been baked and cooled completely, put the cookies into airtight container. I suggest that you put a layer of parchment paper or foil between each layer of cookies. You can keep shortbreads in the freezer for up to 3 or 4 weeks. first day cookies are crunchy, the day after they melts in your mouth. What kind of maraschino cherries do you use? 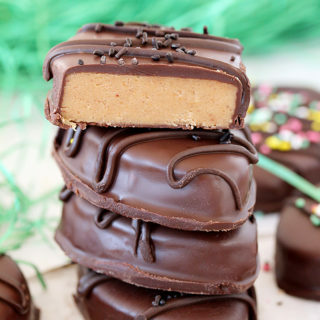 Candies or from the jar? I used from the jar, but drained maraschino cherries. I made this recipe on the weekend fortnight family for the first time. The first dozen disappeared in minutes ! 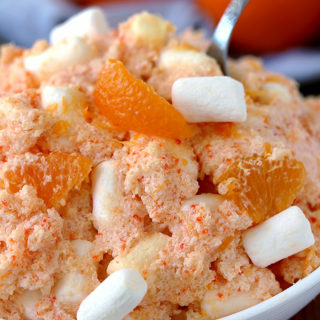 This recipe was so simple to follow and turned out delicious. I’ll be including them with my Christmas cookie boxes this year, thankyou ! I’m so glad that you enjoy it, Elle! Made these the other day and they were a huge hit. I did add just 1/2 teaspoon of almond extract to the recipe though. It gives the cookies a sweeter flavor. They were soft and melt in your mouth. Great idea about almond extract.